Do You Need to Make a 20% Mortgage Down Payment? Do home loan borrowers need to make a 20% down payment to be approved for a mortgage? The answer to that question depends on FICO scores, the type of mortgage loan you want, and your financial needs and goals. September 13, 2018 - Do home loan borrowers need to make a 20% down payment to be approved for a mortgage? The answer to that question depends on FICO scores, the type of mortgage loan you want, and your financial needs and goals. FHA mortgage loans require, according to FHA home loan program minimum requirements, a 3.5% down payment. That is true for borrowers who apply for FHA mortgages with FICO scores at 580 or higher. According to FHA loan requirements, those with FICO scores between 500 and 579 are required to put 10% down. But definitely NOT 20%. The FICO score numbers listed here are FHA minimum guidelines and do not reflect any additional or more strict FICO score requirements for maximum financing. Why are FHA mortgage down payment requirements so low? Part of the reason is that the loan is government-backed, creating a lower amount of risk for the lender. But that does not address why some borrowers believe that a 20% down payment might be needed to successfully apply for a mortgage. There is one reason for this; other loans require private mortgage insurance unless the borrower makes a suitably large down payment; 20% or higher usually helps the borrower avoid private mortgage insurance for conventional mortgages. But many borrowers just can’t come up with 20% all at once and wind up opting for either a mortgage loan with a lower down payment requirement or choosing to pay for private mortgage insurance as required by the lender. FHA mortgages require a form of mortgage insurance but not via a third party private agency. The borrowers for most of today’s FHA mortgages will pay FHA mortgage insurance for either 11 years or the duration of the entire loan depending on the LTV and other factors. Borrowers have the option to finance the up-front mortgage insurance premium in full or pay the entire amount up front in cash. This refers to the up front payment required commonly known as the FHA UFMIP, and there is also an annual insurance premium divided up over the course of the year and included in your mortgage payment. Borrowers can’t eliminate FHA mortgage insurance simply by making a larger down payment, but the 3.5% down requirement is more affordable for many than trying to come up with the 20%. That said, a larger down payment makes sense for FHA borrowers with financial goals that involve saving more money over the lifetime of the loan. 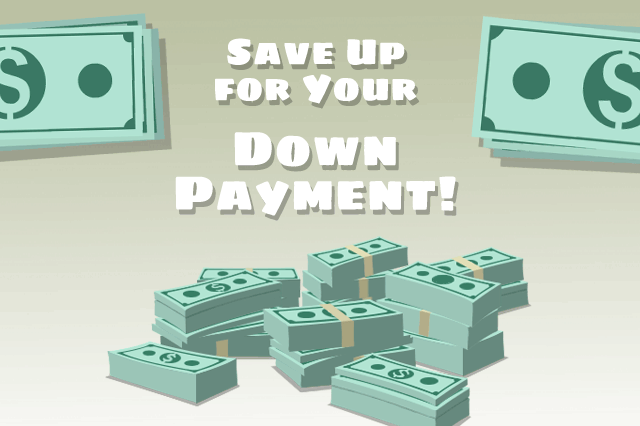 Those whose goals include a lower mortgage payment might wish to consider a bigger down payment and not financing the FHA UFMIP, but if your priorities are focused on spending less up front, the lower down payment and financing the up-front mortgage insurance premium makes sense.